This Ultimate Guide to Gluten-Free Cakes will help you understand gluten-free baking. By using my baking tips and recipes you can start to create amazing, tasty and simple gluten-free cakes. Gluten-free cakes often have a bad reputation. They can be criticised for being too dry or gummy. Or maybe you have heard they need lots of different and hard to find ingredients. I’m here to set the record straight. Gluten-free cakes can be just as, if not more, delicious than regular cakes if you follow the rules and the right recipes. If you are new to gluten-free baking then don’t worry. 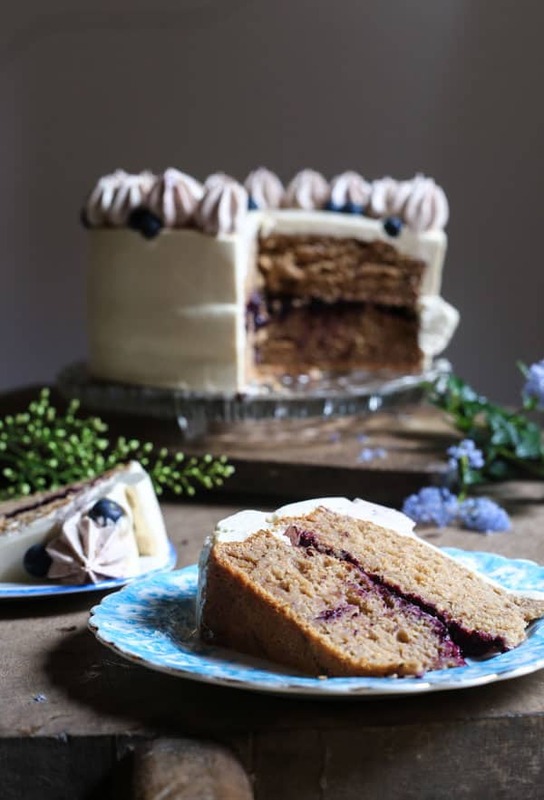 I’ve been making and selling gluten-free cakes for many years now and I’ve got all the info you need to create delicious and easy gluten-free cakes. Let’s begin, shall we? When some individuals consume gluten their immune system reacts causing damage to the gut. This means nutrients are not absorbed properly by the digestive system which can lead to pain, fatigue and depression. Gluten intolerance can range from mild to extremely severe, the latter of which may be diagnosed as coeliac disease. Gluten-free cakes are made without wheat flour or any other ingredient which contains gluten. This includes the regular plain flour in the bakery section of the supermarket but also the more specialist flours like rye or spelt flour. Hidden Gluten. Some other ingredients in your baking may contain hidden gluten such as baking powder, sprinkles, cooking chocolate and even some ready-make icing. Check Your Labels. Certified gluten-free ingredients should be clearly labelled so you can purchase with peace of mind. Which Flour Can You Use for Gluten-Free Cakes? Single origin alternative flours like teff flour, rice flour or oat flour are becoming more readily available and can be found in supermarkets or health food shops. They work differently to regular wheat flour and should rarely be used as a direct substitute. These flours are best blended together to mimic the different properties of gluten. You may find recipes for gluten-free baked goods contain two or more alternative flours. 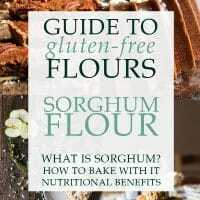 Do you want to know more about these gluten-free flours and how to use them in your baking? Then head over to my series on Gluten-Free Flours where you can discover all sorts of beautiful flours and learn how to incorporate them into your baking. Which Gluten-Free Flour Blend is Best? Freee by Doves Farm Gluten-Free Plain White Flour. This flour is the easiest to get hold of in the UK and is the most economical. It is made from a blend of five different gluten-free flours and starches. This is a light neutral flour and contains no xanthan gum. I find this flour works best when used in cake recipes where little flour is required like brownies or friands, or in tandem with a nut flour which helps add moisture. Bob’s Red Mill Gluten-Free 1:1 Baking Flour. Made from a blend of five different gluten-free flours and starches but does contain xanthan gum. This flour works well as a direct substitute for wheat flour but it is not suitable for those with an intolerance to xanthan gum. 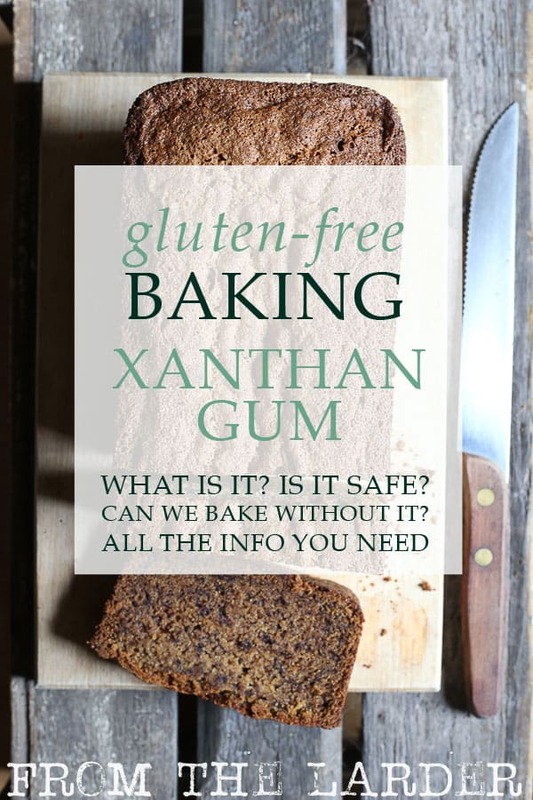 Why is Xanthan Gum used in Gluten-Free Cakes? Xanthan gum is used to help bind the cake in the absence of gluten. It can also help give the cake a little more lightness. However, it is not always necessary and many people can’t tolerate it so it’s an ingredient to be careful of. Visit my in depth explanation of why I don’t bake with xanthan gum here. Do Gluten-Free Cakes Taste Different? They can taste different but that is what is incredibly exciting about gluten-free baking. 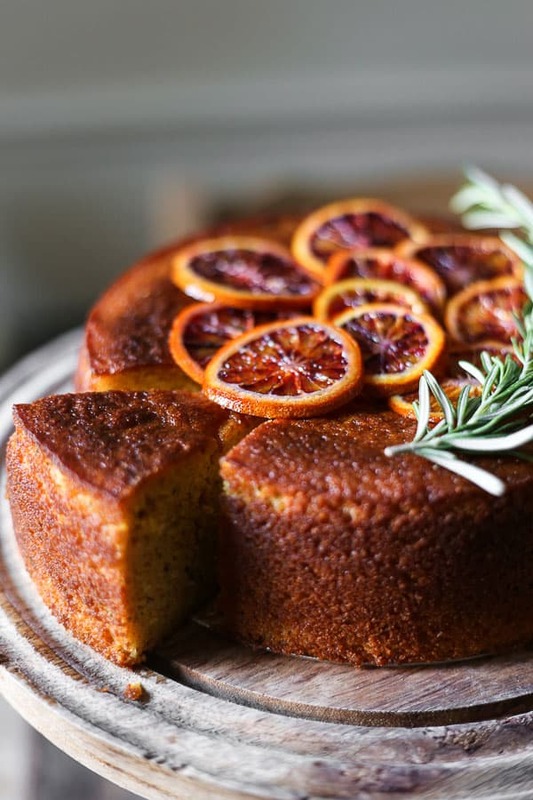 Several gluten-free flours like white rice flour, tapioca flour or potato flour are more or less neutral in taste and won’t interfere with the taste of the cake too much. 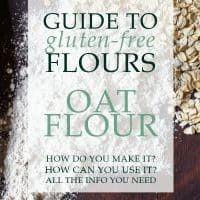 However most gluten-free flours have their own unique personalities and can be used to support or enhance the flavour of your cake and this is where it gets interesting. A chocolate cake made with teff flour will take on its sweet malty flavour. A blondie made with oat flour will have its butterscotch flavour instantly magnified. Gluten-free cakes can be even more tasty than regular cakes depending on the choice of flour. Gluten-free is not a catch-all for a healthy diet. It is true that some alternative flours often have a higher nutritional content which is definitely an advantage of gluten-free baking. However, cake should always be considered an occasional treat no matter how nutritious the individual ingredients are. Choose the right flours: Dense alternative flours such as buckwheat may hinder the rise so either pair it with a fluffier flour like oat flour or keep the denser flours for cookies or pancakes. Lighter flours such as millet flour or sorghum flour will create a lighter result. Mix for longer: Gluten-free flours need longer in the mixer, if you get more air beaten into the batter it will help to lighten it and rise. Add an acid: Try adding 2 teaspoons of apple cider vinegar or lemon juice to your cake batter. It will react with the bicarbonate of soda to create extra rise and a more tender cake crumb. Add an egg: You could even add an extra egg which will help the cake to rise. However it will also give more moisture so you might need to fiddle with a few more ingredients so the batter isn’t too wet. More leavening agent: Gluten-free cakes may need a little more leavening agent. Try adding 25% more, so ¼ teaspoon per every 1 teaspoon that your recipe requires. Don’t add too much though or you will start to taste it. Why is My Gluten-Free Cake Gummy? The dreaded gummy gluten-free cake is the mortal enemy of the baking world. The most common culprit in a gummy gluten-free cake is white rice flour. This flour is widely used in gluten-free baking. Maybe overused. It is not a bad flour, but it should always be paired with other flours such as sorghum flour to counteract its tendency to clump. However, gummy cakes can also be an issue with using the wrong or too much starch. Reduce your amount of tapioca or sweet rice flour or try swapping with different ones. Why is My Gluten-Free Cake Gritty? Try a different brand or flour. Different brands of gluten-free flours grind their flours to either a coarse or very fine texture. For example, I really love Bob’s Red Mill’s sorghum flour but it can have slightly gritty results compared to other sorghum flours as it is not ground as finely. This is also the problem for many white rice flours. Either choose a different brand or blend with a different flour to counteract the result. Rest the batter. Also since many gluten-free flours do not absorb liquid as well as gluten flour then try resting your cake batter for 30 minutes before baking to give the flours a chance to soften. Why is My Gluten-Free Cake Dry and Crumbly? Xanthan gum is this is a manufactured product which helps bind ingredients. Use ¼ teaspoon per 200g gluten-free flour. However use carefully as individuals can be intolerant to it. Psyllium husk has a high viscosity when added to liquid. Although it’s better really for breads due to its strong wheat taste. Chia seeds or flaxseeds create a gel like substance when added to liquid that helps bind ingredients. Use a starchy flour like sweet rice flour, tapioca flour or arrowroot which will help give moisture and bounce to your cake. Try swapping out caster sugar for brown sugar which has more moisture. Swap in a touch of liquid sweetener like honey or maple syrup for the sugar. Increase the oil or melted butter if using. Include a heavy liquid like yoghurt, sour cream or buttermilk. Make sure your cake has enough starch. The starchy flours like arrowroot or sweet rice flour will help retain moisture. Also your choice of cake can be key. Recipes with pureed fruit or vegetables already have added moisture in them. 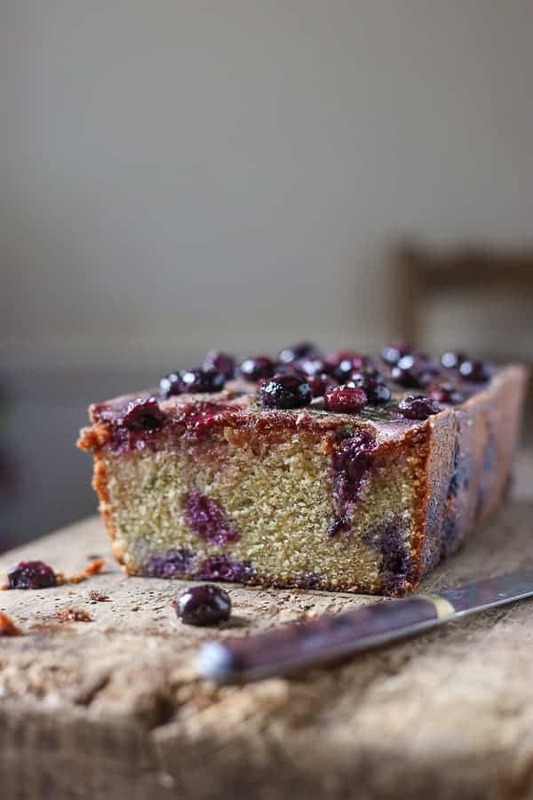 Banana bread, pumpkin recipes, courgette cake or apple cake are all good places to start. Try this Golden Beetroot Carrot Cake and you will be amazed how beautifully moist it is. No dry crumbs in sight. Can You Freeze Gluten-Free Cake? Yes. Gluten-Free Cake freezes brilliantly. You can freeze the cake before decorating with buttercream or icing but I have also frozen many slices of gluten-free cake wrapped up well and tightly. Leave it out to fully defrost before consuming. Low and Slow. Try baking your gluten-free cakes 20 degrees less than you would a regular wheat cake and allow it to bake a little longer. Gluten-free flours tend to brown quicker and take longer to absorb liquid so the lower temperature will ensure an even bake. Always weigh your ingredients. If you want to start adapting wheat recipes for gluten-free versions then you will need to own a pair of scales. Gluten-free baking requires even less room for error than regular baking. Weighing your ingredients ensures a more reliable result. Trial and error. Don’t be disappointed if a cake you have created fails first time or even second time. Gluten-free baking takes practice. Have fun playing with the huge range of gluten-free alternative flours, the results will usually be edible even if they are not perfect. It will take time before you will know instinctively which blend of flours will work for which recipe. Not to mention different brands often yield different results too. In the meantime I have many recipes on this site at your disposal which work perfectly. 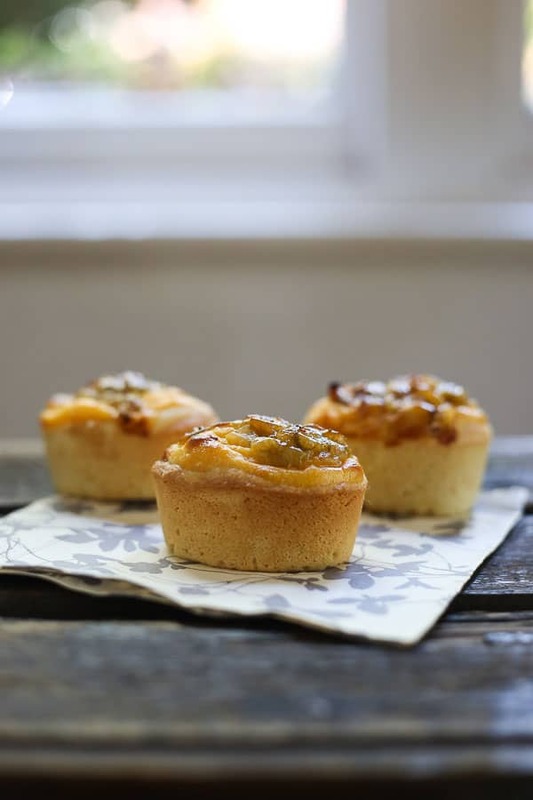 Try experimenting with friands which are gorgeous little cakes and only need a little flour. Try different single origin alternative flours in these recipes. Hopefully this Ultimate Guide to Gluten-Free Cakes has made the challenge of gluten-free baking slightly less daunting. Let me know what’s the #1 single biggest gluten-free baking challenge that you’re struggling with right now in the comments. Let’s see if we can get it cracked. Even though we’re gluten-free we still deserve delicious moist, tender and beautiful cakes.